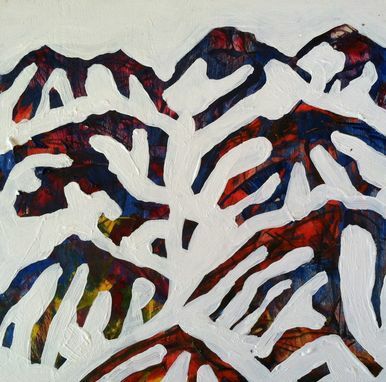 Using acrylic paint and square wooden palettes, I can create an abstract or fairly accurate portrait of your favorite mountains - whether you are a skier, snowboarder, hiker, or bigfoot - I'll help satiate your mountain fever when at home! Sizes can range from 6x6, 8x8 to 10 x 10 inches, but for this post I'll price it for 8 x 8 inches. (A very nice size). I've put down the approximate cost for one, but I'd suggest a set of three. Tell me if you'd like the style to be more abstract and blocky, or thinner mountains with detail. 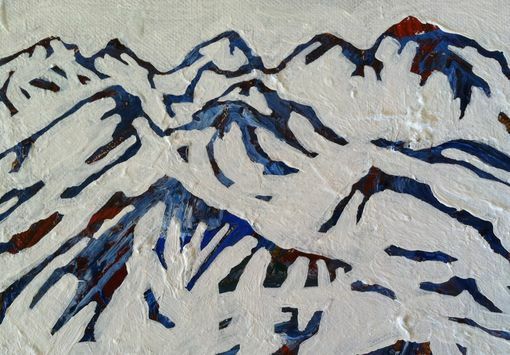 Email me a photo of your ideal mountain view and I'll build the mountain profiles from there. These are a very new design, currently being marketed to several outdoor design companies. Gett'em while there hot! Dimensions: A variety of sizes are available - 6" x 6", 8" x 8", 10" x 10" and 12" by 12". 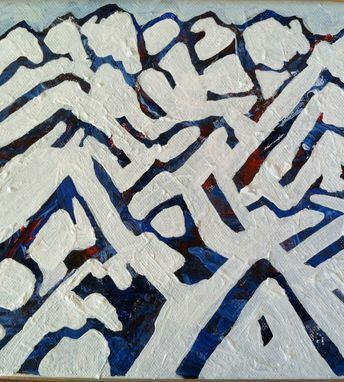 Also can be done on canvas or on wooden palettes.